Psychological thrills blend with supernatural chills in The Babadook, Jennifer Kent’s frightening portrait of a family’s descent into madness and the demons that drive them there. Australia has a rich catalogue of horror movies, with The Babadook the latest and greatest entry in a canon that includes Picnic at Hanging Rock and Wolf Creek. While this is an Aussie production through and through, its main subject of grief – all consuming, all overwhelming – is one that will resonate with many, as it has in the U.S. with much positive buzz generated from its premiere at the Sundance Film Festival. That, plus people love having the crap scared out of them! Kent precisely did just that back in 2005 with her black and white short film Monster, which planted the seed for The Babadook. Essie Davis stars as Amelia, a single mother who 6 years after her husband’s violent death has to contend with the increasingly aggressive behaviour from her son Samuel (Noah Wiseman), whose exasperated claims of a monster living in his closet brings forth unspeakable horrors and deeply supressed emotions. Previously seen bumps in the night have never carried this much psychological weight. No horror movie is complete without its boogeyman and in The Babadook Kent has created as frightening and mysterious a monster as they come, a figure that inspires fear, hatred and violence as much as it gorges upon it. 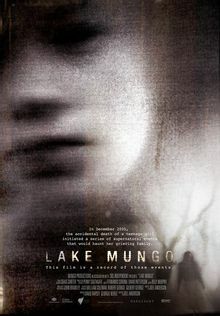 Interestingly first introduced through the pages of a macabre children’s tale (brilliantly created for the film), this shadowy creature creeps and crawls through the suburban abode which Amelia and Samuel call home with malicious intentions, Kent and editor Simon Njoo doing away with the usual jump scare theatrics and opting for a palpable sense of dread and foreboding that lurks behind every door and under every bed. 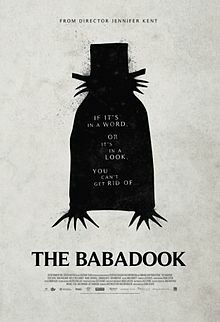 With The Babadook, Kent has created a horror movie rich in atmosphere and character. While comparisons can be made with Roman Polanski’s Repulsion and Stanley Kubrick’s The Shining, Kent has created something unique with The Babadook, especially in the creation of Amelia, a wholly rounded female character told through a female perspective, filled with wants, needs and struggling with a conflicted, sympathetic and horrific relationship with her infant son. Don’t expect your typical scream queen nonsense here. Essie Davis in turn steps up to the challenge and delivers the best performance in her career (thus far), an emotionally draining, physically demanding portrayal of a mothers love tested by demons both psychological and supernatural, Davis a mess of blonde locks as she dives headfirst into this role. Exceptional too is young Noah Wiseman, playing this seriously troubled yet playfully imaginative young boy with the right amount of energy draining hysterics and cheeky mischief. (Gotta love the Goonies inspired hand-made weaponry in his monster fighting arsenal). The major difference between The Babadook and another effective ace chiller like The Conjuring are those performances: So primal, so thrilling and so moving. The exploration of grief has never been so scary.